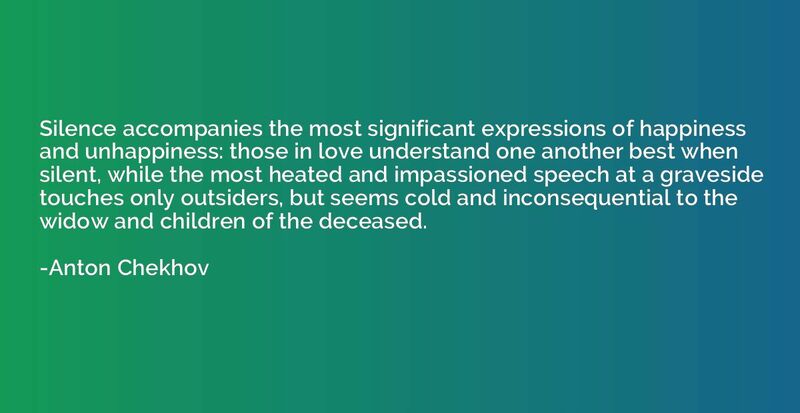 Silence accompanies the most significant expressions of happiness and unhappiness: those in love understand one another best when silent, while the most heated and impassioned speech at a graveside touches only outsiders, but seems cold and inconsequential to the widow and children of the deceased. I do not bring forgiveness with me, nor forgetfulness. 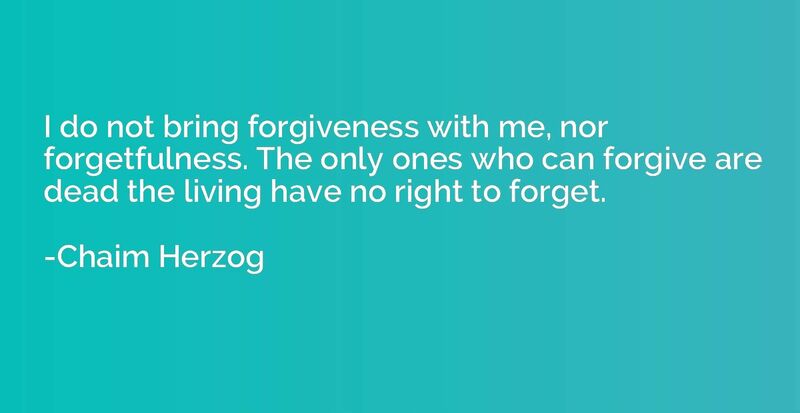 The only ones who can forgive are dead the living have no right to forget. 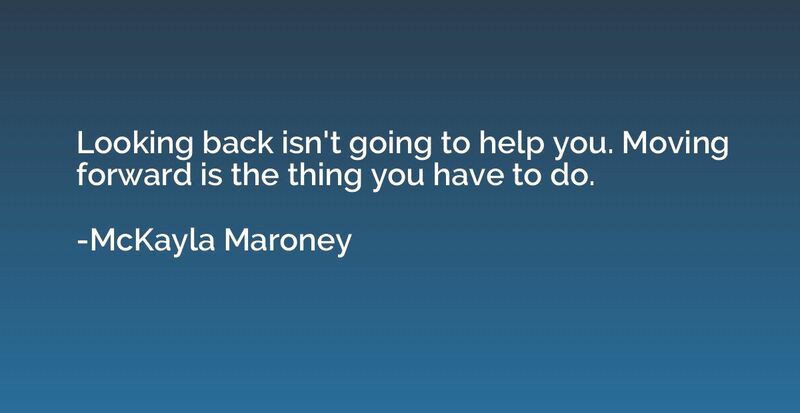 Looking back isn't going to help you. 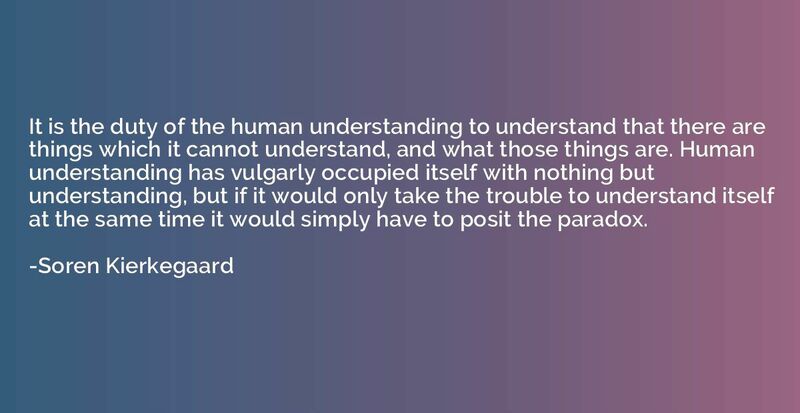 Moving forward is the thing you have to do. I thought if anyone need a leg up, it was our foster children. 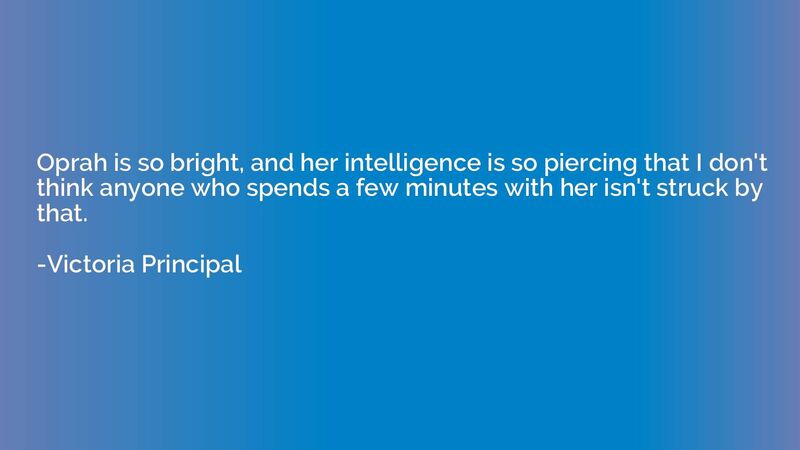 So, I started getting involved in education reform, and that was back in 1998. 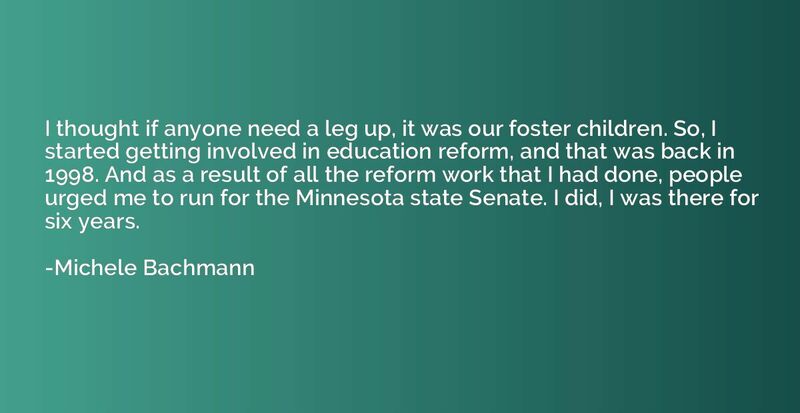 And as a result of all the reform work that I had done, people urged me to run for the Minnesota state Senate. I did, I was there for six years. 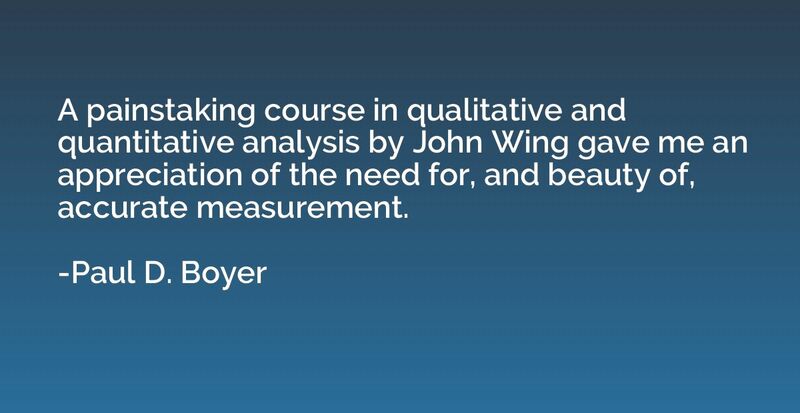 A painstaking course in qualitative and quantitative analysis by John Wing gave me an appreciation of the need for, and beauty of, accurate measurement. He could have made it right with the book. 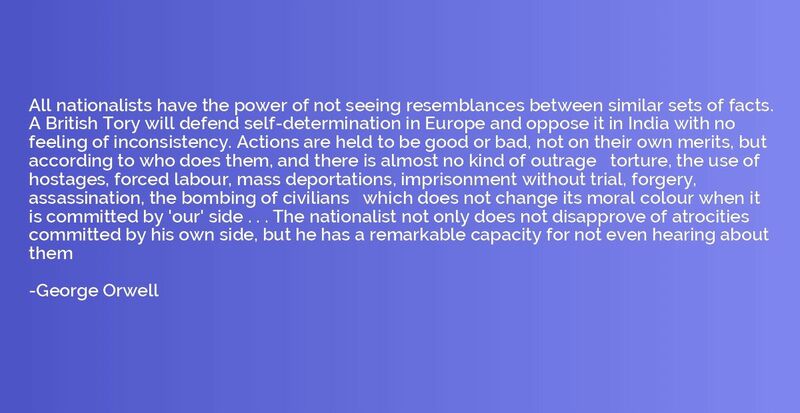 But he hasn't. 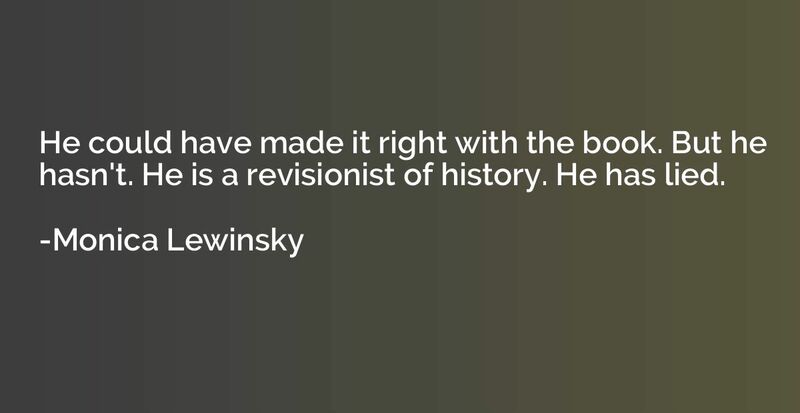 He is a revisionist of history. 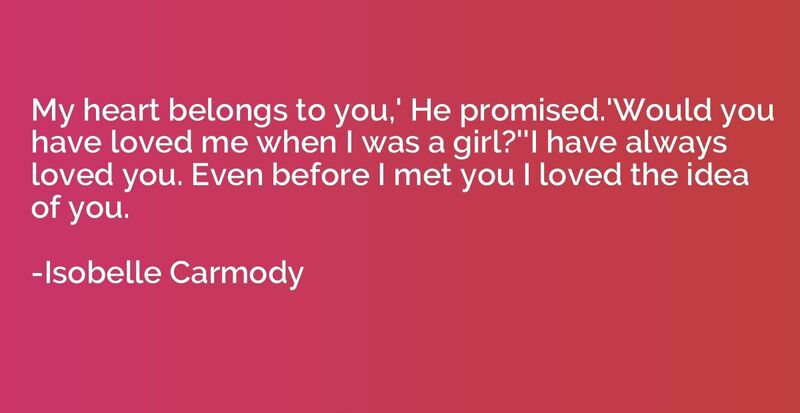 He has lied. 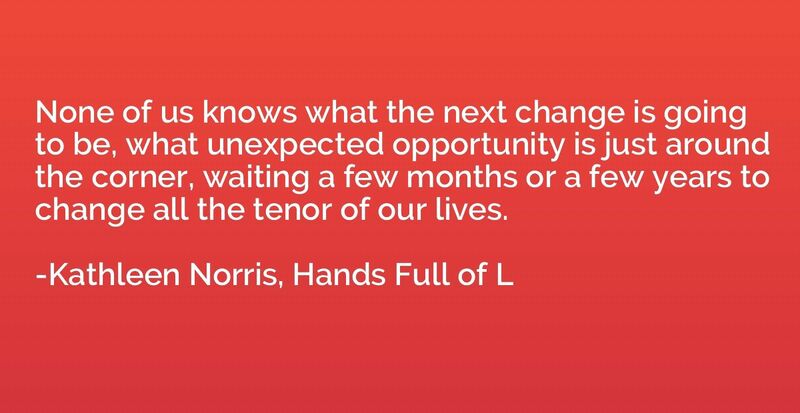 None of us knows what the next change is going to be, what unexpected opportunity is just around the corner, waiting a few months or a few years to change all the tenor of our lives. 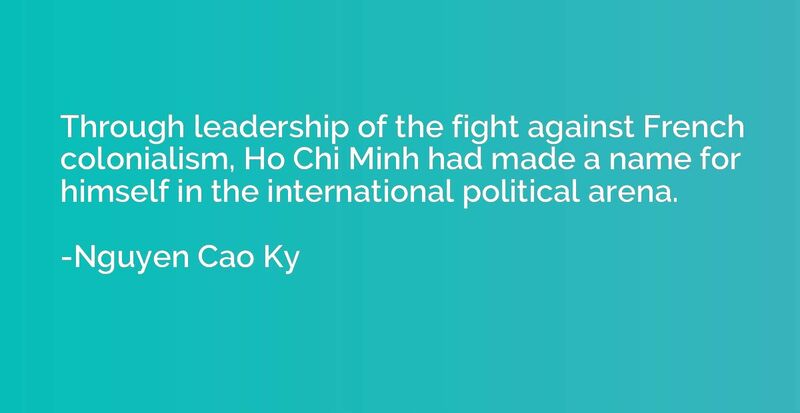 Through leadership of the fight against French colonialism, Ho Chi Minh had made a name for himself in the international political arena. I have discovered the most exciting, the most arduous literary form of all, the most difficult to master, the most pregnant in curious possibilities. I mean the advertisement. 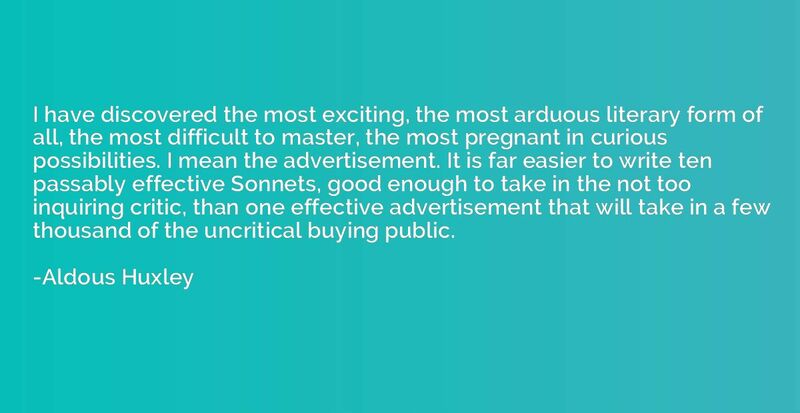 It is far easier to write ten passably effective Sonnets, good enough to take in the not too inquiring critic, than one effective advertisement that will take in a few thousand of the uncritical buying public.